We offer to our clients a wide range of Automotive Gaskets that is die cut from compressed asbestos fiber/non asbestos jointing. The complete range is manufactured using high grade raw material and advanced methods of production to ensure they last for a long period of time. These Automotive Gaskets are extensively used in standard flanges where the service is not critical. In tune with varied choices of our valued clients, we provide these gaskets in customized options. 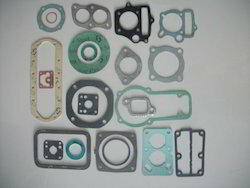 Apart from this, we provide these gaskets to our valued clients within promised time frame at most genuine rates. With the consistent aid and support of the experts, we are able to manufacture, trade and supply a wide range of Industrial Gasket. - Used as a spare part in automobiles. With an aim to establish ourselves among the leading organizations, we are engaged in providing a wide range of Truck Gasket. - Pressure-compensation range: 2.5 - 4.0 bar at the micro-emitter head. - Filtration method is to be selected based on the kind and concentration of the dirt particles contained in the water. Wherever sand contained in the water exceed 2 ppm, Hydrocyclon filter is to be installed before the main filter. Owing to the extensive industry experience, tiss international offers a comprehensive range of rubber moulded items to its clients globally. These rubber moulded items are widely used in diverse industrial segments. The moulded items offered by us are manufactured from the best quality rubber and are available in different sizes and dimensions catering to different requirements. 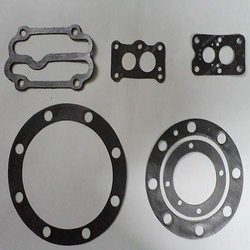 Mayank Industrial Gaskets Manufacture Co.
We are Manufacturers of Automotive Gaskets .